&loz; Shrink-proof: Metal cloth neither shrinks nor stretches, &loz; Easy to cleaning: You just use a piece of rag to wipe it when metal cloth are dirty. Otherwise you can use this make a curtain for your house, mall, hotel and your shop. In one words, you can do all that you can imagine with this mesh. brand zhenbo color we have spot color on the color card, provide color number to order other colors. the efficiency of brand success integrity cast the future! 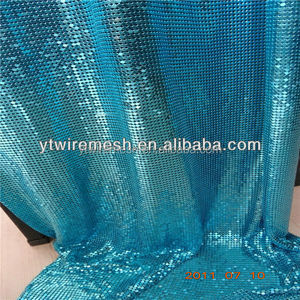 item name hot sell large square sequin fabric nice sequins fabric description square sequins mesh fabric comes on a mesh backing , a good choice for backdrop or table cloths. Item No: YM02021 Material: 100%polyester Weight: 40-110GSM Width: / Color: All Colors Can Be Made Packaging Details: In rolls,Put each roll into plastic bag. Port of Loading: Shanghai Port, China Payment Terms: (1) 30% T/T in advance,70% balance payment against copy B/L . (2) L/C at sight Delivery time: 1x20&rsquo;FCL container, no more than 25days after receiving the advance. our delivery time is based on the date that your deposit is already on our account. 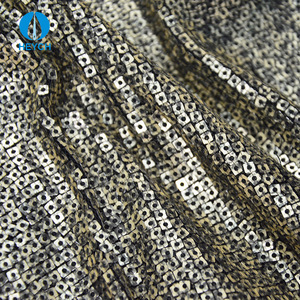 article name keqiao huilun textile custom embroidered tulle silver lace applique rhinestone item no. 2 YRS Huzhou Youwang Textile Co., Ltd.
3 YRS Fuzhou HG Textile Co., Ltd.
Our main items including wedding and party linens and dinning linens, as well as shower curtain, apron, pillow. Design is always generating and changing from 2008 when we begin to this industry, till now, we have designed more than 100 designs for different clients. Some designs always keep popular site when it meet the market, some designs became fade, some designs become popular, we are always an operator or witness. 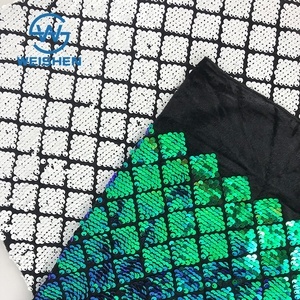 1 YRS Shaoxing Keqiao Lingen Embroidery Co., Ltd.
1 YRS Shaoxing Aurora Trading Co., Ltd.
Alibaba.com offers 5,141 square sequin fabric products. 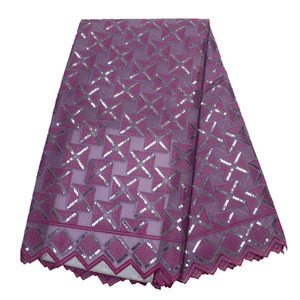 About 3% of these are 100% polyester fabric, 2% are embroidered fabric, and 2% are knitted fabric. 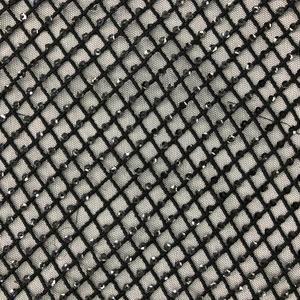 A wide variety of square sequin fabric options are available to you, such as 100% polyester, polyester / nylon, and 100% cotton. You can also choose from knitted, woven, and embroidered. As well as from water soluble, elastic, and eco-friendly. 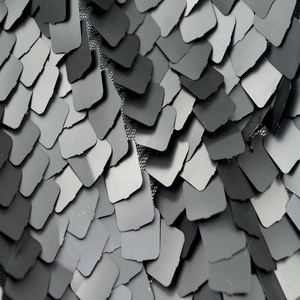 And whether square sequin fabric is mesh, organza, or voile. 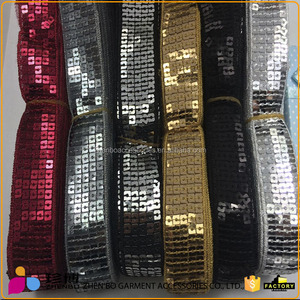 There are 5,141 square sequin fabric suppliers, mainly located in Asia. 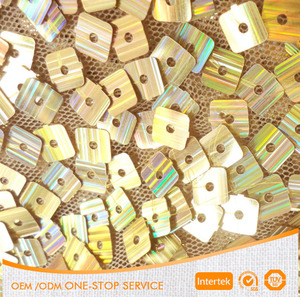 The top supplying country is China (Mainland), which supply 100% of square sequin fabric respectively. 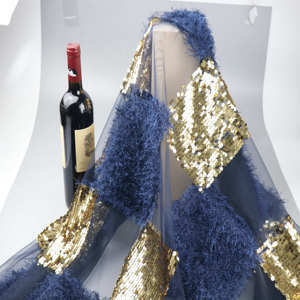 Square sequin fabric products are most popular in North America, South America, and Western Europe. You can ensure product safety by selecting from certified suppliers, including 135 with Other, 60 with ISO9001, and 45 with BSCI certification.